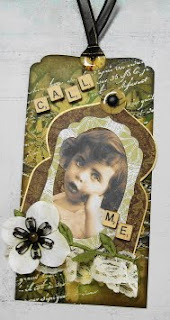 Vada's Blog Stamp Inks and Paper : Tag Tuesday Challenge is to Use an Arch. 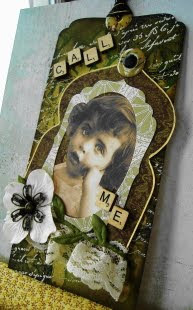 For my Tag today, I used a graphic from Chicks 57 of a little girl with a tear in her eye. Oh how sweet is this? My stamps are Hero Arts and Stampendous. The small Scrabble letters are from EK Success. BEAUTIFUL ARCH! What a precious image too! A darling vintage tag, Vada. Your arch is perfection! Vada....it's just darling! And all the details make it so special. Such a sweet tag! Lovely! Lovely tag. Adorable little girl. Beautiful tag - you put alot of work into this! Beautiful arch and such a cute image! Love the colors, too! Very cool! What a precious tag! Your little girl and sentiment are just adorable! This is incredible Vada, so much texture. I so Love your work!